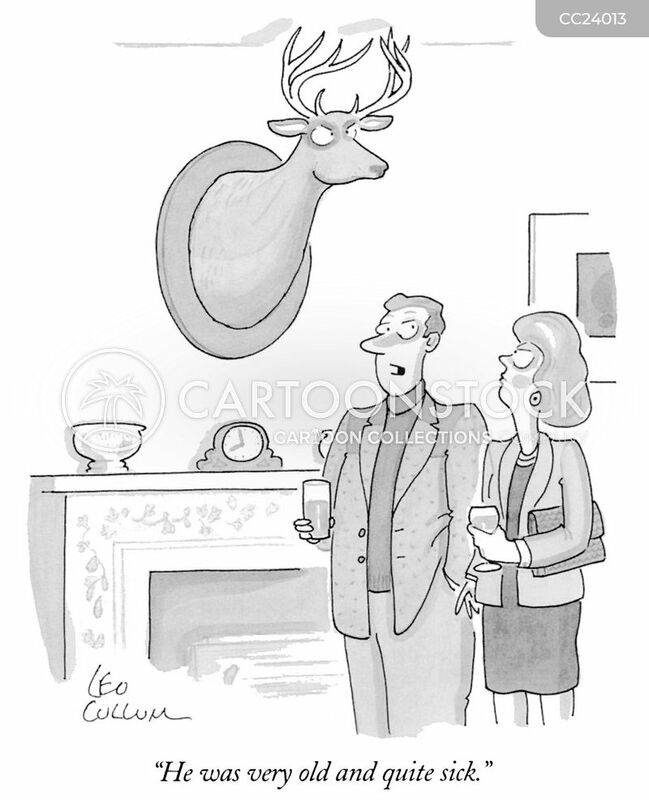 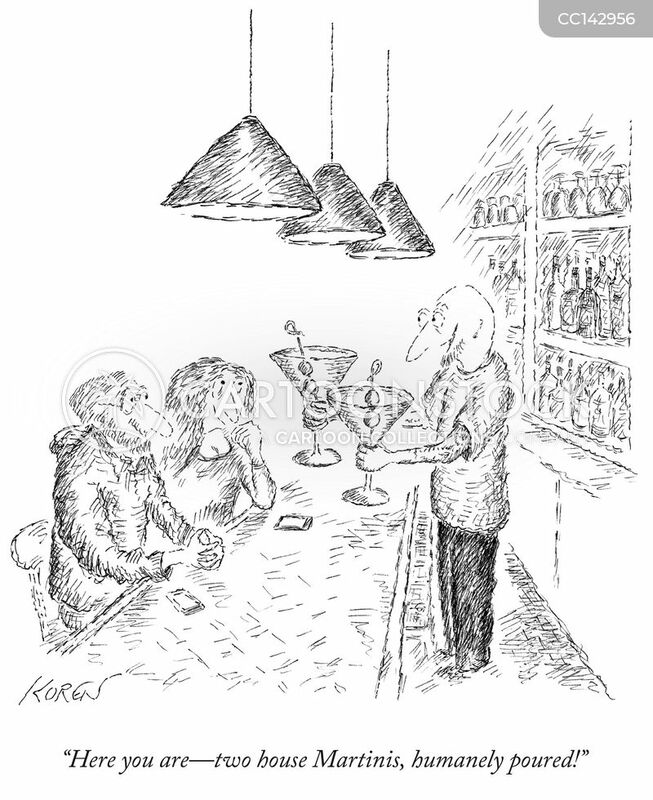 "Here you are - Two house martinis, humanely poured!" 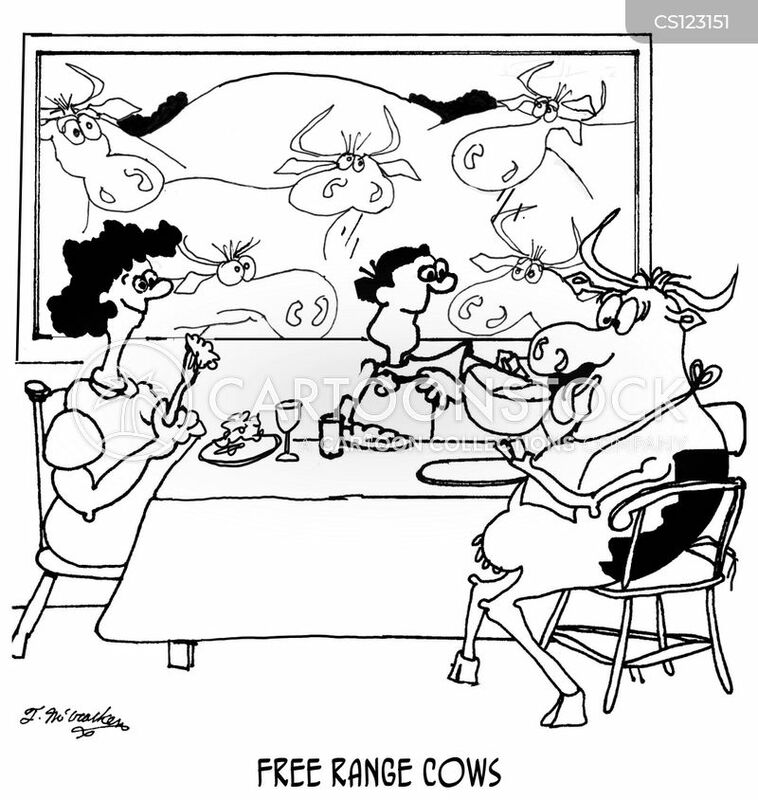 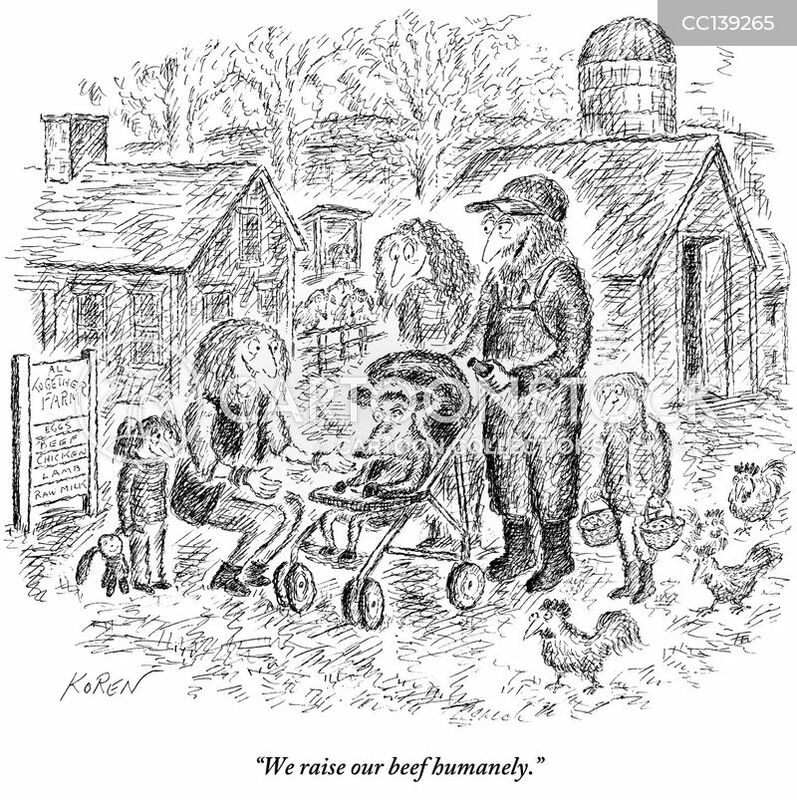 "We raise our beef humanely." 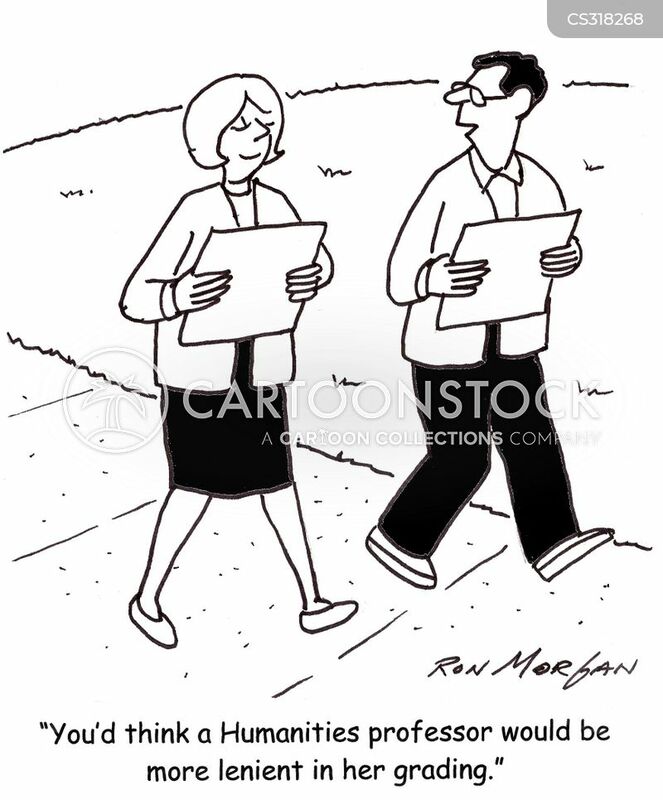 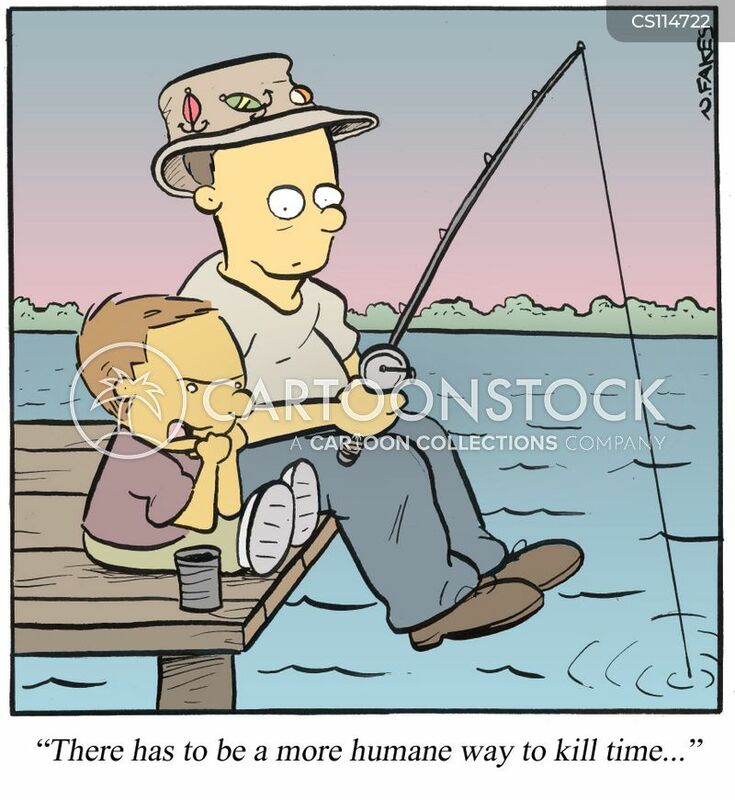 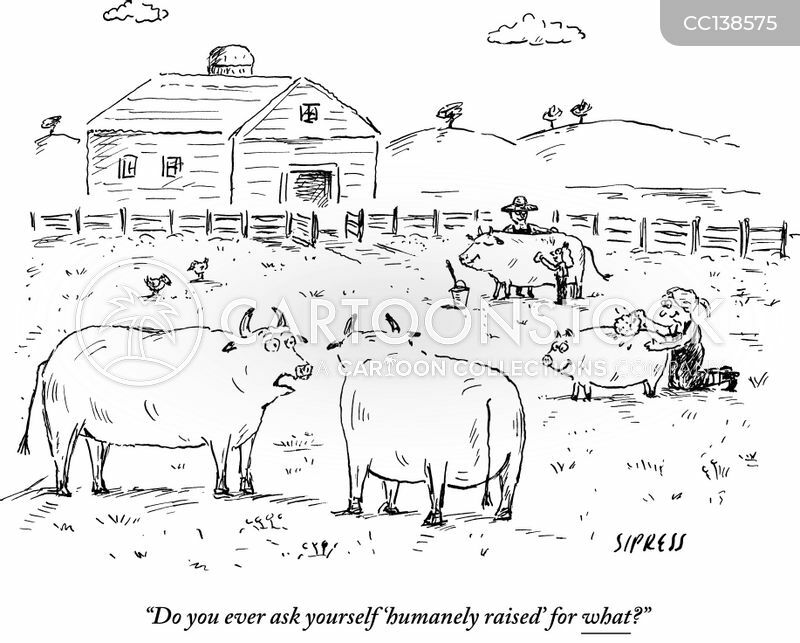 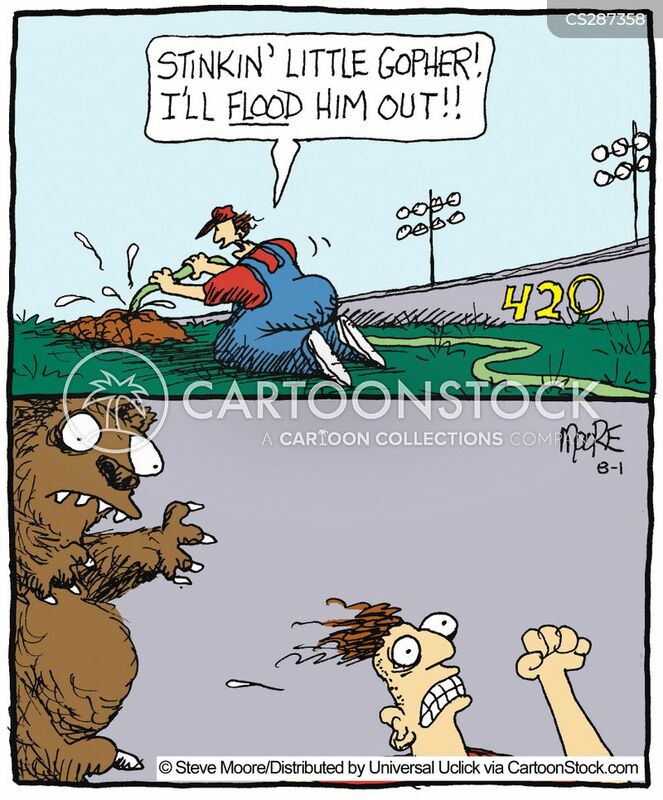 "Do you ever ask yourself 'humanely raised' for what?" 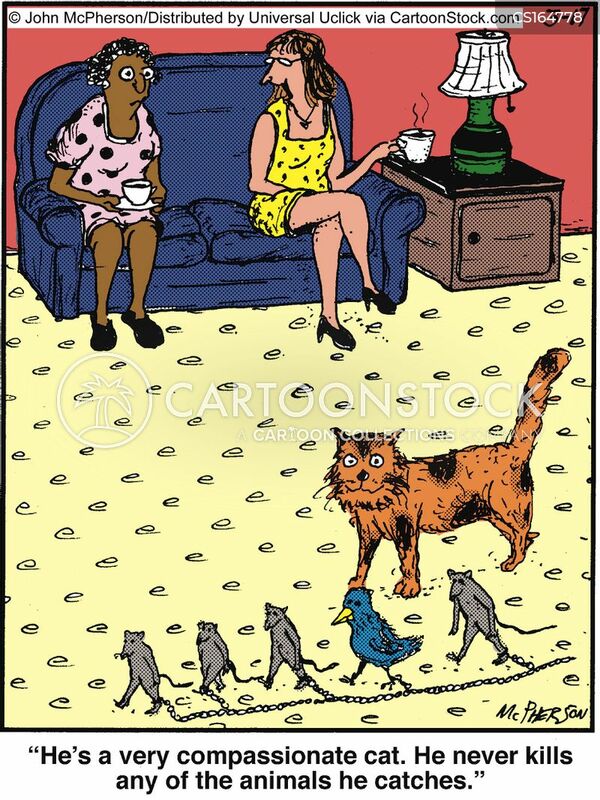 "He was very old and quite sick." 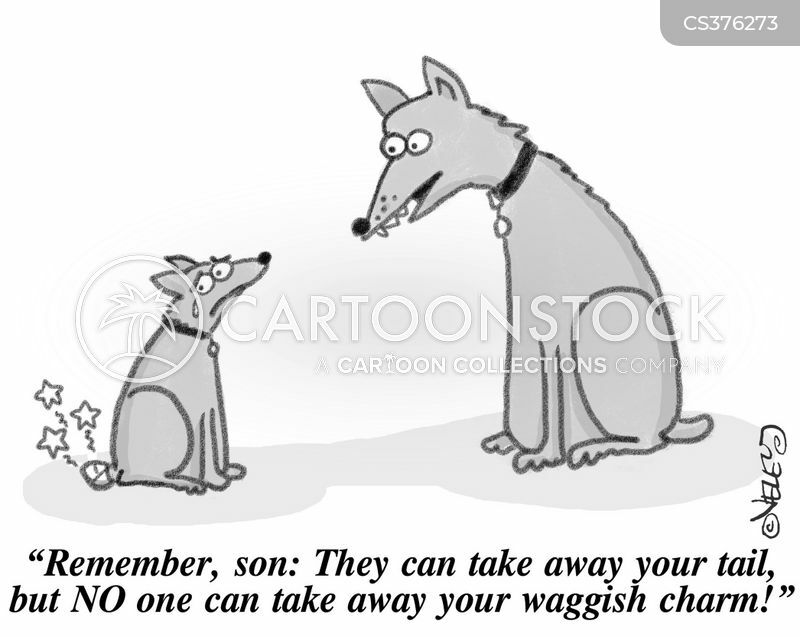 "They're dog tags. 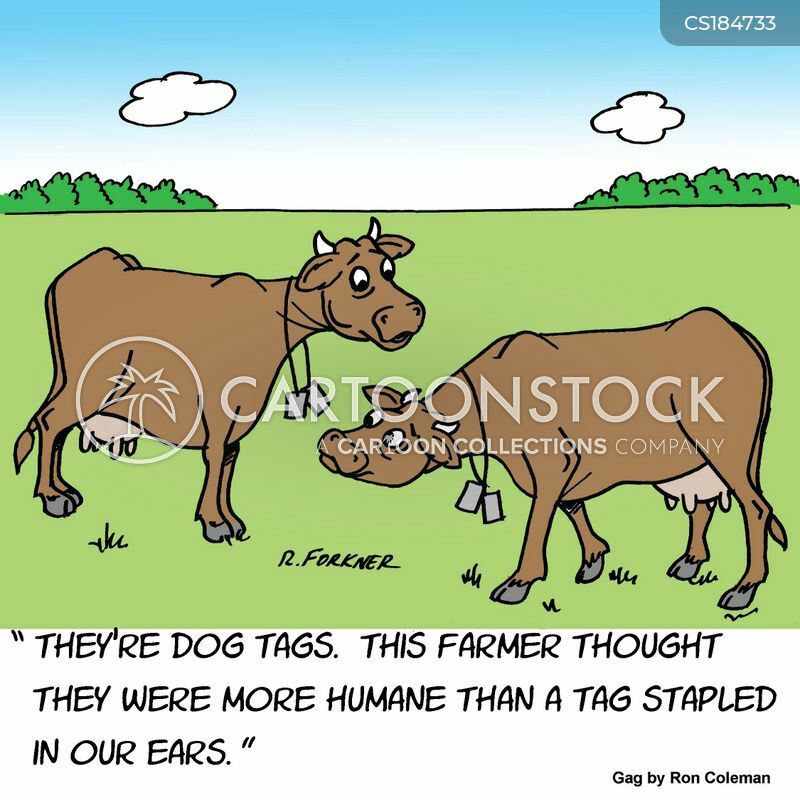 This farmer thought they were more human than a tag stapled too our ears." 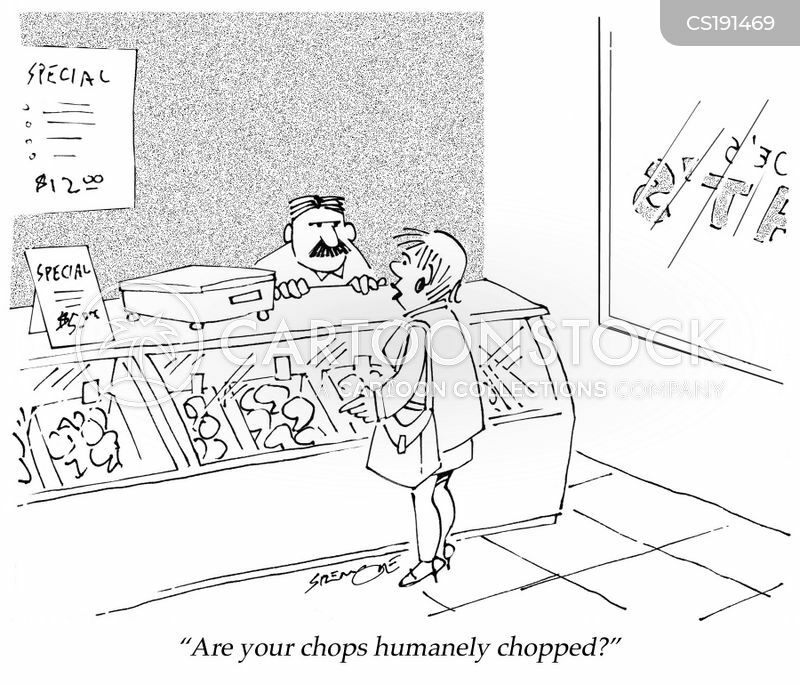 "Are your chops humanely chopped?" 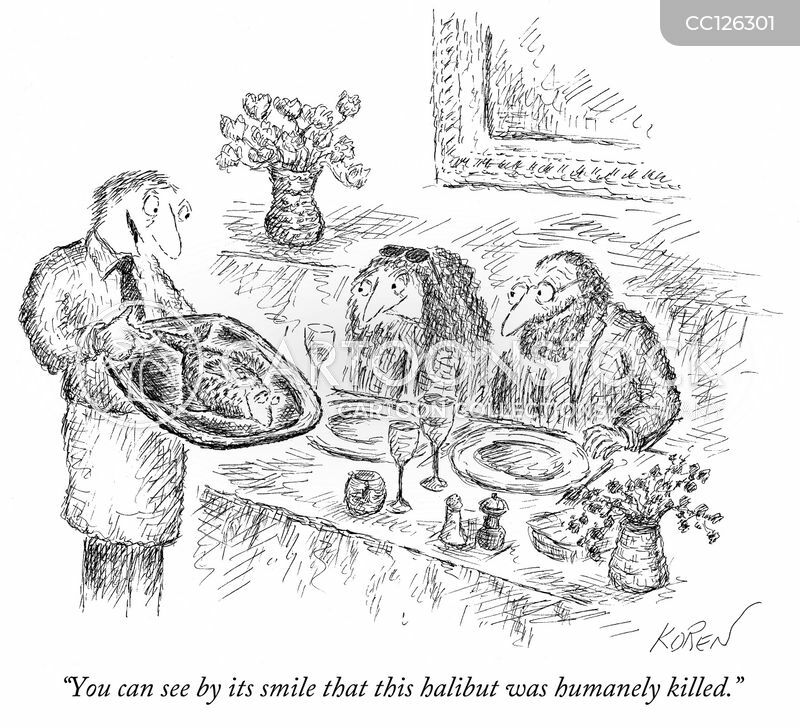 "You can see by its smile that this halibut was humanely killed." 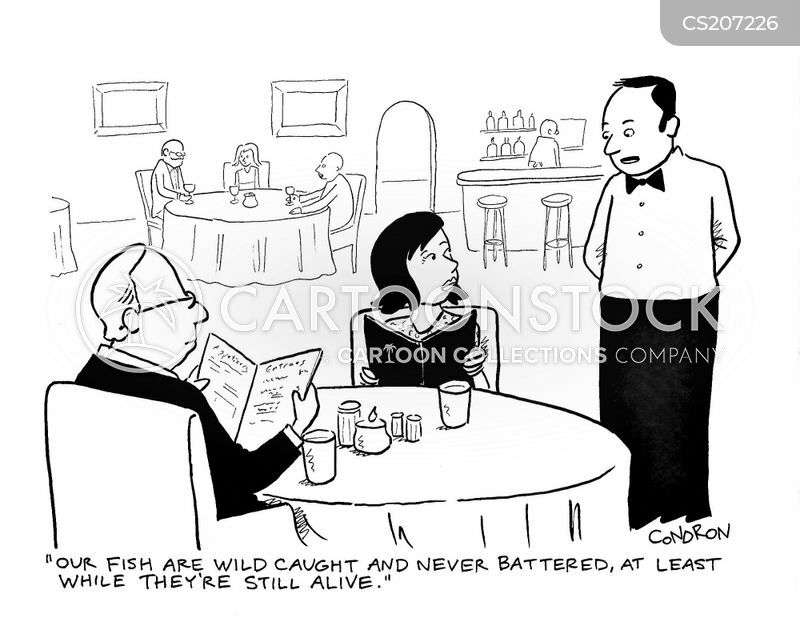 "Our fish are caught wild and never battered, at least while they're still alive." 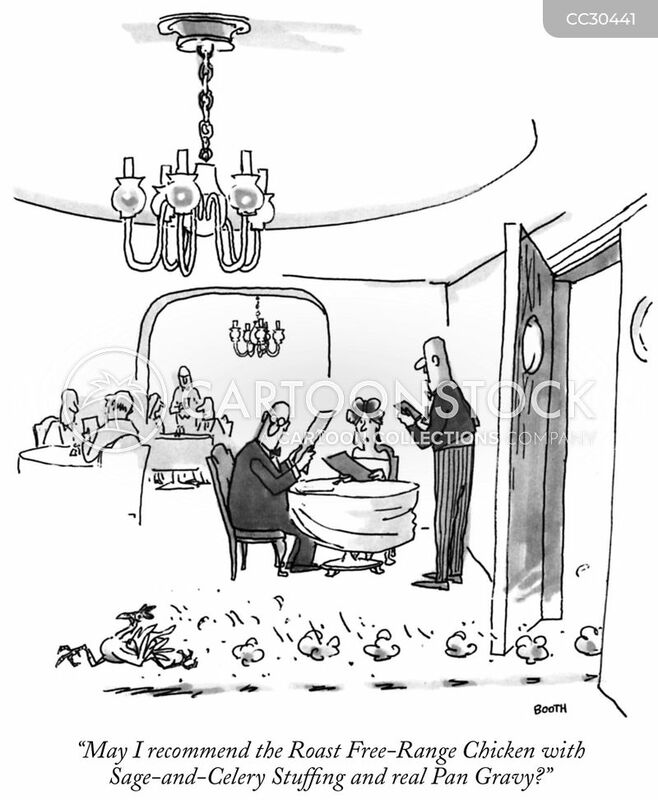 "May I recommend the Roast Free-Range Chicken with Sage-and-Celery Stuffing and real Pan Gravy?" 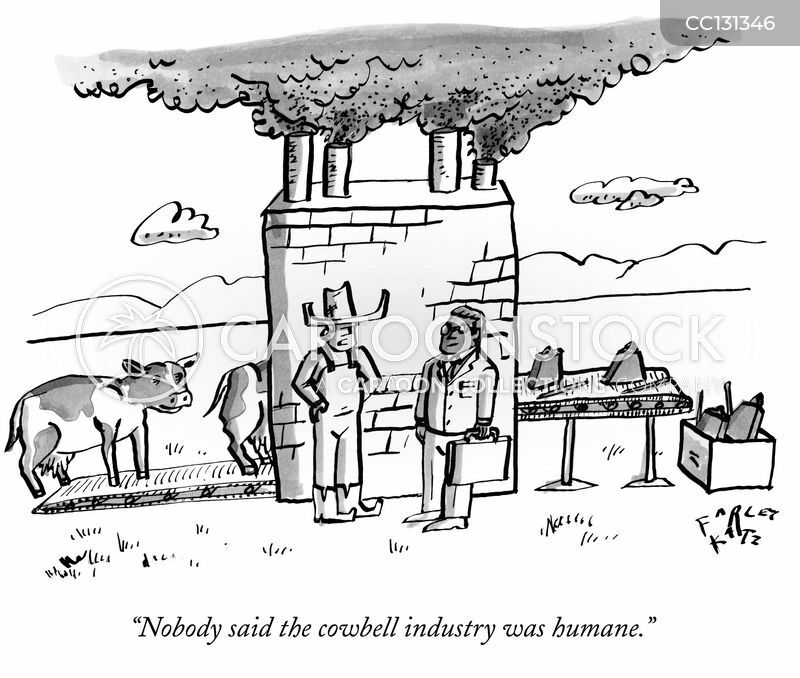 "Nobody said the cowbell industry was humane." 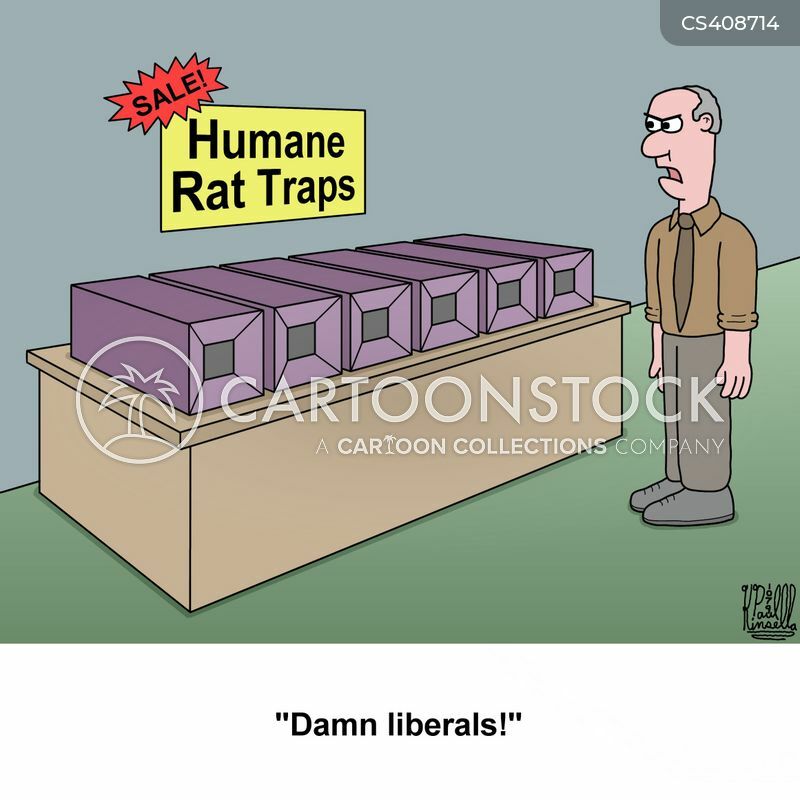 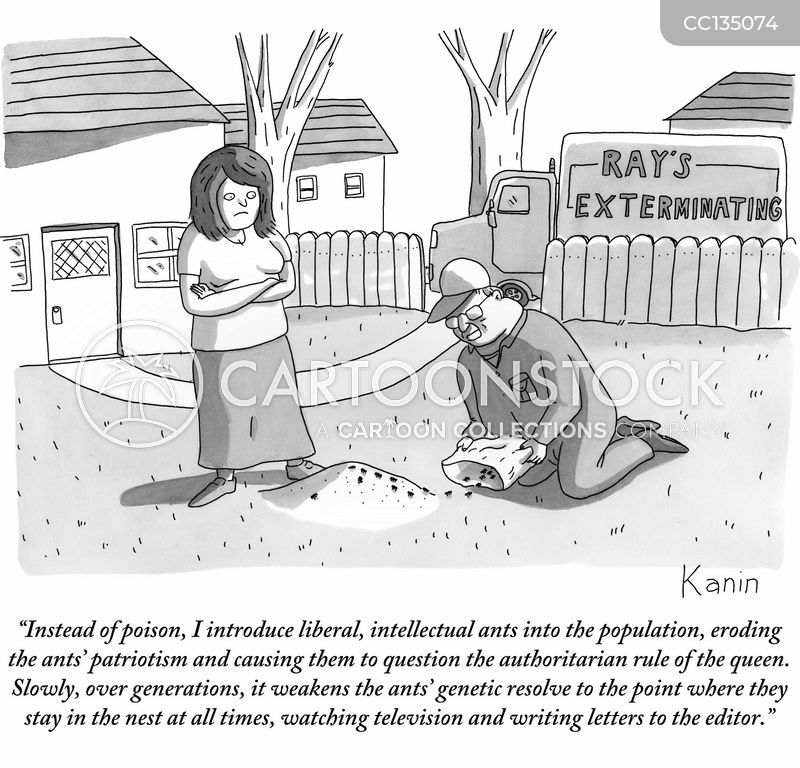 "Instead of poison, I introduce liberal, intellectual ants into the population, eroding the ants' patriotism and causing them to question the authoritarian rule of the queen. 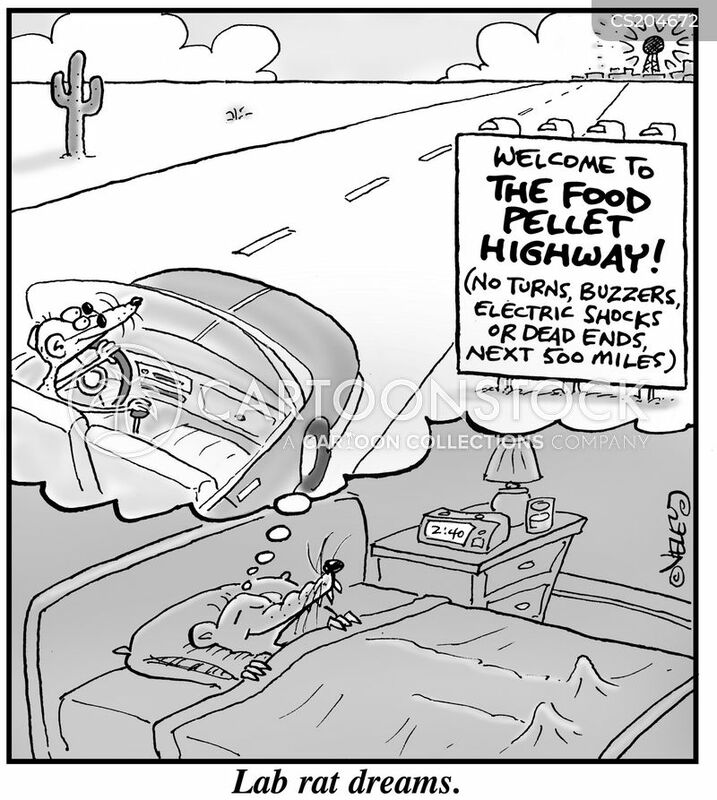 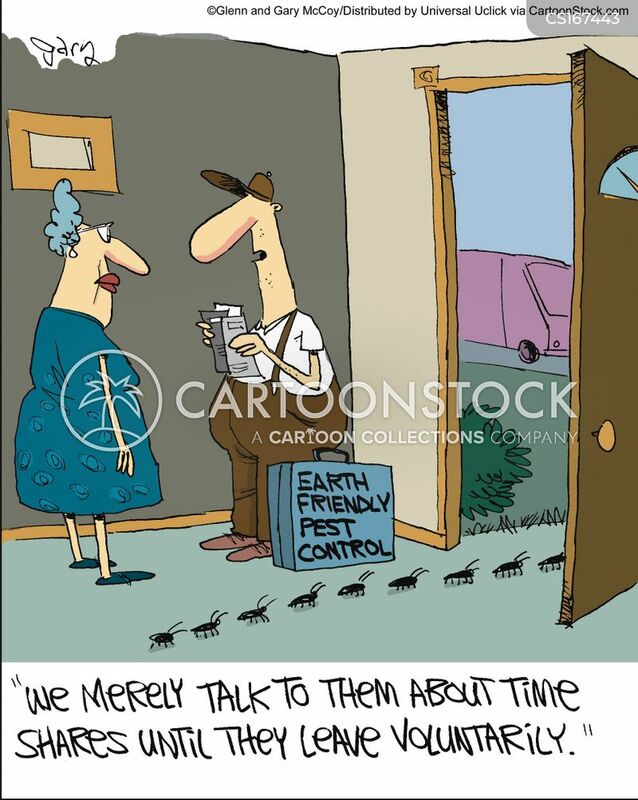 Slowly, over generations, it weakens the ants' genetic resolve to the point where they stay in the nest at all times, watching television and writing letters to the editor." 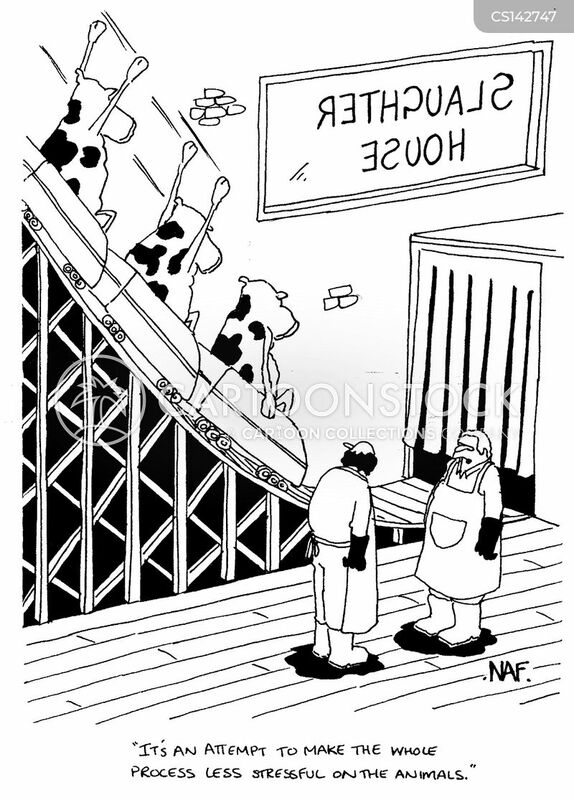 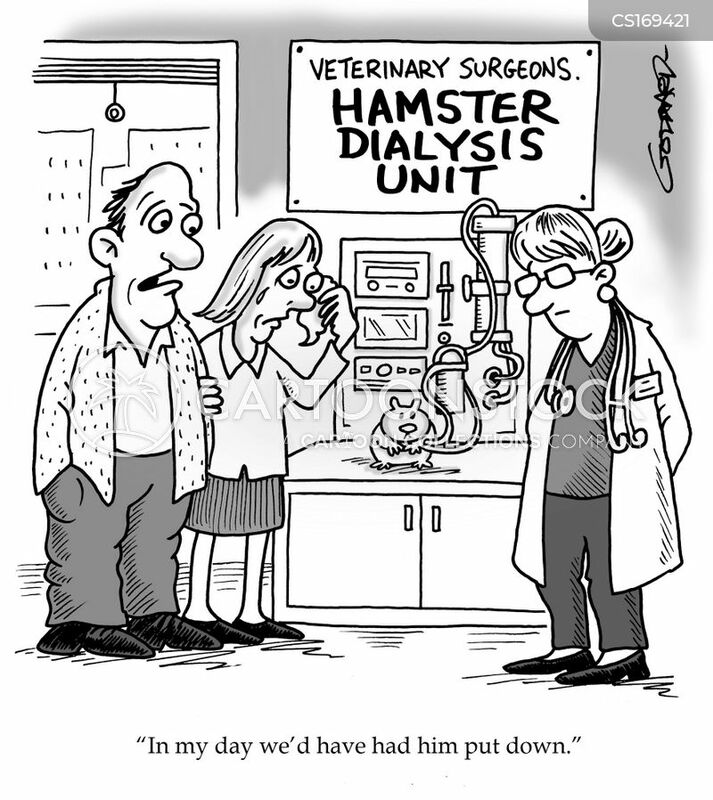 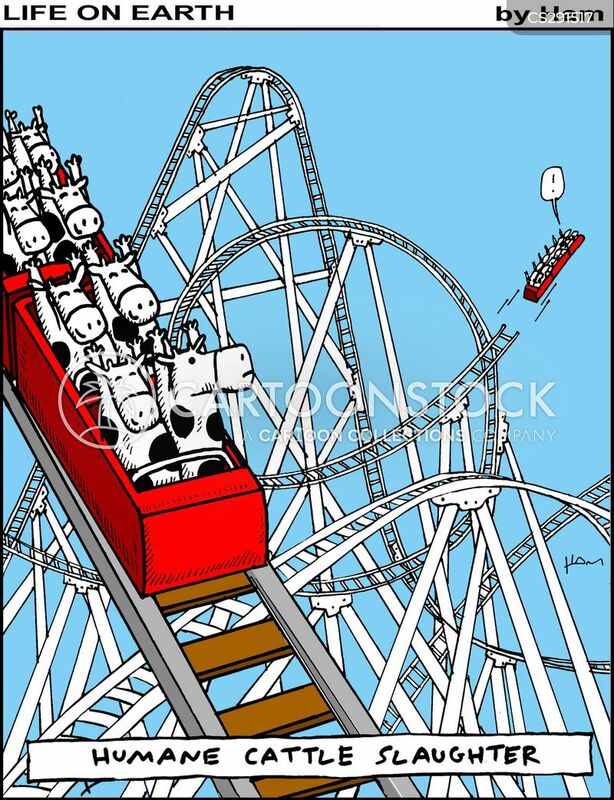 "It's an attempt to make the whole process less stressful on the animals." 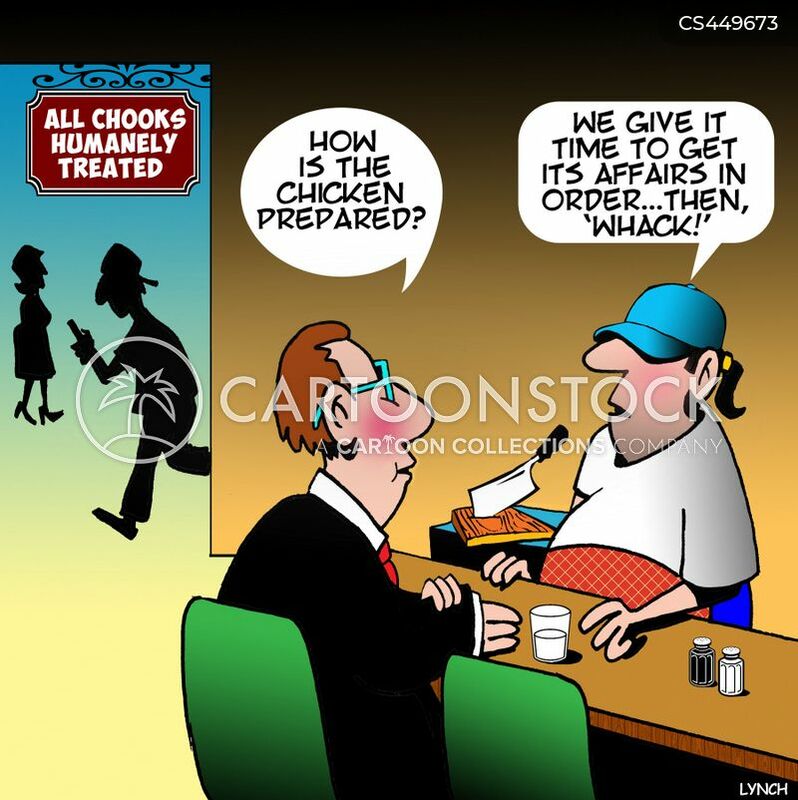 "We give it time to get its affairs in order...then 'whack!'" 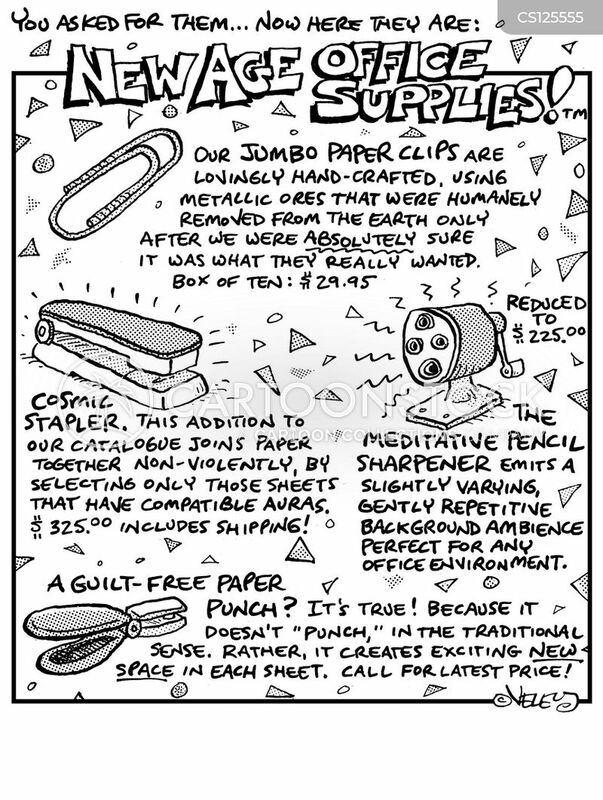 New Age Office Supplies Catalog.